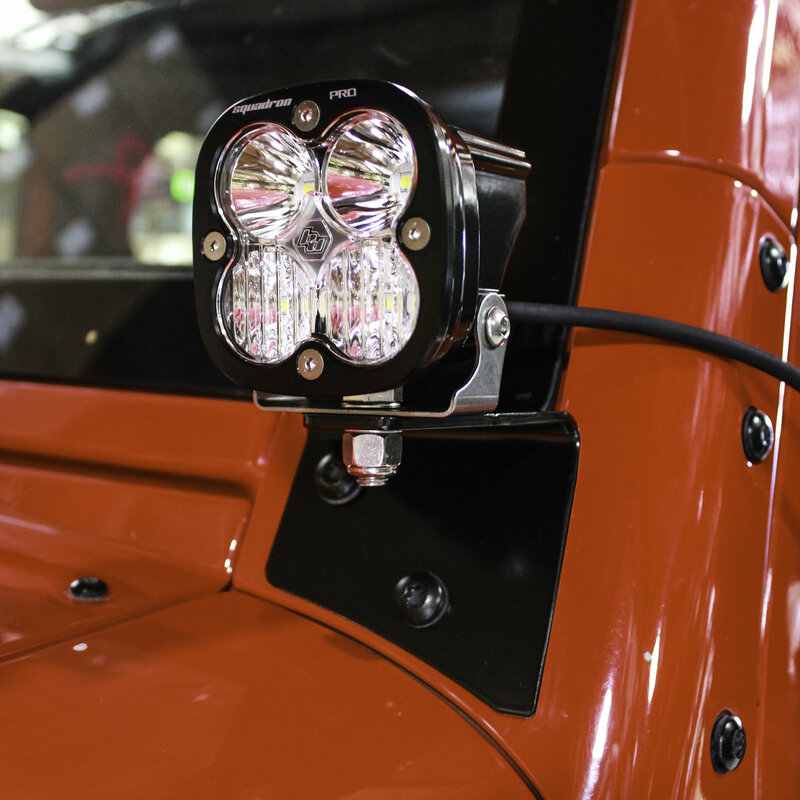 With so many areas to mount auxiliary lights to your Wrangler JK it can be overwhelming to say the least on where and what you should mount. A cheaper option over a light bar can be to get the Baja Designs A-Pillar Mount Kit and use cube lights instead to be just as effective. CNC Laser Cut: Cut for precision from steel then black powder coated for a long lasting finish that will protect from rust and look good in the process. Fitment: Simply bolt onto the factory bolt locations and you have a light mount for LED lights like the Squadron Sport & Squadron Pro. 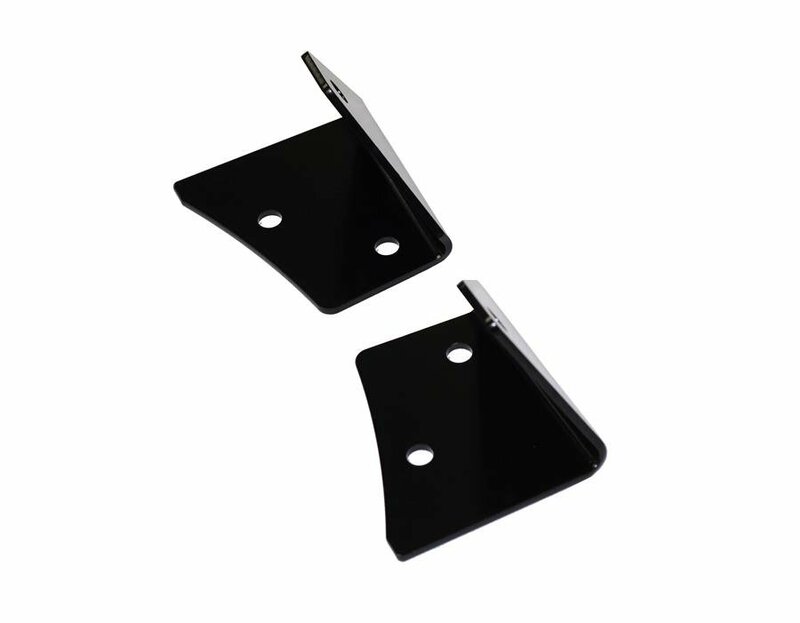 Made in the USA: Just like your Wrangler JK these brackets are proudly made in the USA! 1. Minor trimming may be required. 1. There is no gasket pads included with these overpriced pieces of angle. So someday, when you take them off, you'll need to get the windshield corners repainted because the paint will be worn off and rust will have pock marked the metal. 2. The unnecessary oversizing of the bracket encroached on space already taken up by my Gobi roof rack . Consequently, they didn't fit on my rig and I sent them back.